Night Fishing is a fully automated multicurrency EA designed for trading through asian session. 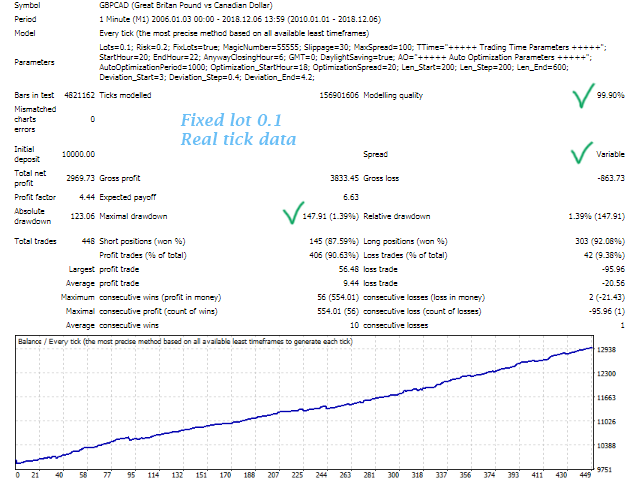 The EA provides daily autooptimization in preset range before start to trade. It trades by a single order inside price channel. 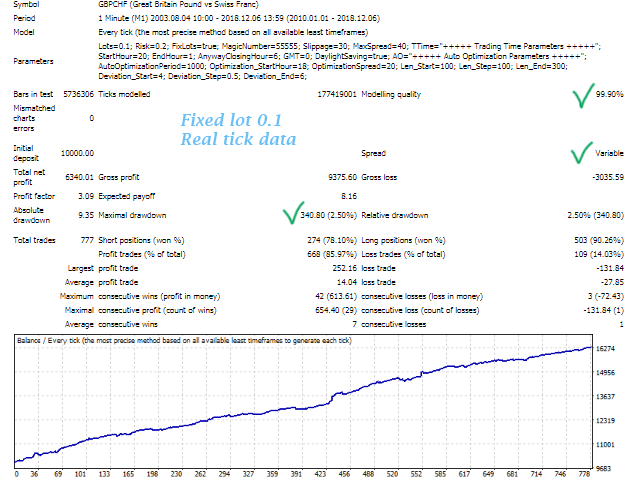 Left trades are closed in the morning at predefined time independent from profit value and price location inside the channel. Please keep S&P500 H1 chart opened to update its history and to use the filter correctly. Please don't forget to set GMT and DaylightSaving in accord with your terminal's time and your broker's policy about daylight saving. Don't use DaylightSaving when testing using tick data from Dukascopy. Turn on DaylightSaving when testing using data from MetaQuotes. It is preferable to provide autooptimization shortly before start to trade. Remember that wide range of channel's parameters in company with small step could significantly decelerate the optimization. You can use the same magic number for all pairs. 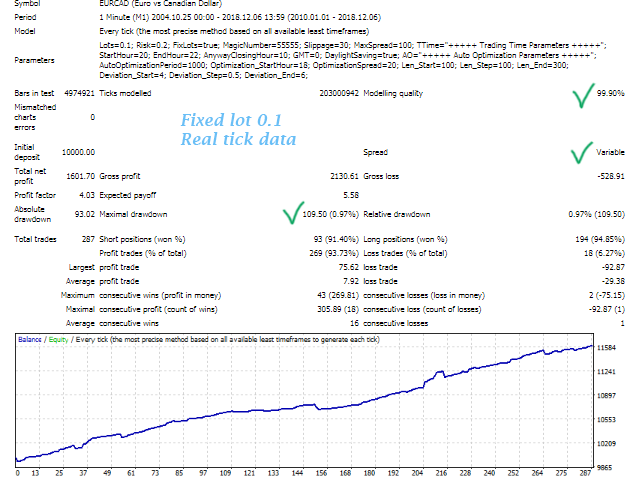 The EA shows outstanding results in TDS2 with real spread and execution that totally correspond to trading on real account. Many thanks to the author for perfect EA and support. Good results. Author live signal proves it too. I got the same results. Trading at New Year celebration is disabled. 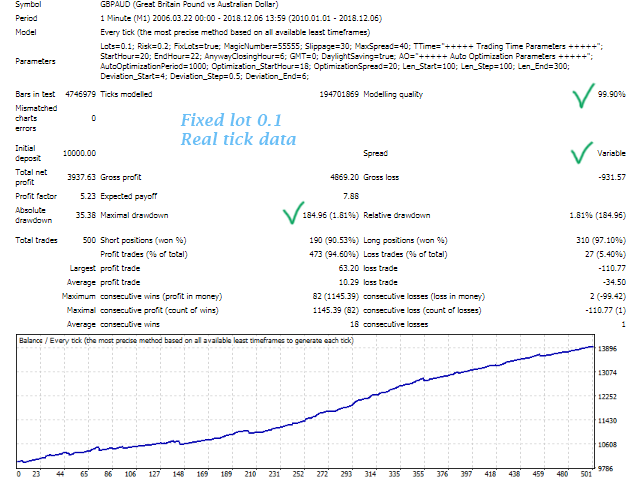 Filtering by S&P500 index is added. 2) The entry algorithm is improved. 3) The meaning of DaylightSaving parameter is changed. Start from version 1.1 it keeps start and end hours of trading unchanged in summer when DaylightSaving is ON and shifts them by -1 when DaylightSaving is OFF.